Update: 10:30AM All the villains 9″/Jr combos are sold out online. Also as of this time, all the Villains 9″/Jr sets are sold out of the Tampa Disney Store (and we suspect any other EST store). Tampa only had 8 Maleficent sets (and the family in the front of the line bought like 6). Well it didn’t take long. 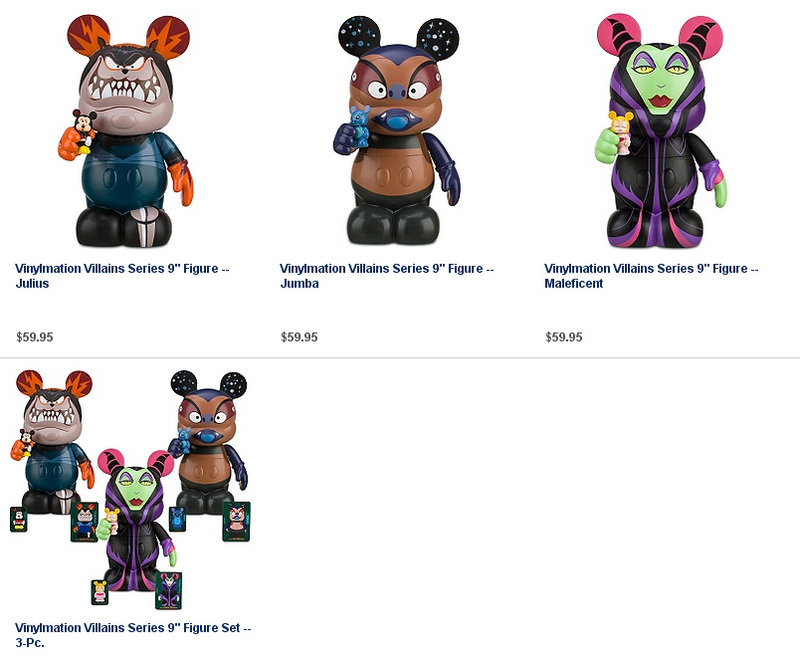 At some point between 2am EST and 730am EST the Disney Store Online put the Villains 9″/Jr sets up for sale. As of now, the Maleficent and Aurora set is sold out. Interestingly, they also put up a package where you could buy all 3 9″/Jr sets. That is currently sold out also! Each set is a Limited Edition of 700. I’m very glad I stayed up to get them. I kept refreshing and I believe it was around 2:45 – 2:50 AM central time I saw them pop up. I went ahead & grabbed the triple pack. Also it was great to see free shipping on orders over 75 dollars today. Saved 20 bucks in shipping charges. yeah. i woke up in the middle of the night and bought the 3 pack. the next day i got an email saying i wont get the maleficent. since the email was sent the next day, i didnt have a chance to buy one at a disney store. i was really upset. they even sent me a confimation email after i purchased them. All of them are actually sold out now. Yeah, I hate to be rude but that family was nothing but that. But, thank you nick for your amazing gesture! That rush was worse than black Friday at a store opening! Since there is a limit of 2 per guest online, I think there should be a limit in stores as well. That’s a bit ridiculous. Got the last one at the Chicago State st store. Also bought Julius because I love the little Minnie mouse. Last I looked, all were gone from that store.